The Christmas Stocking Project has now evolved into making pack backs for the adults and Christmas Stockings for the children. We started in 2008 and continue to provide the Salvation Army's McKenna's House, a adult shelter in Concord, NH. Since we started this mission the amount of beds have increased and we have geared up with the increase need. Our Project begins with a “sit and sew” in July to get the projects started and ends in mid-December when the back packs and stockings are assembled and delivered. Again, a big thank you to those who have already made placemats. We have received so many thank you cards from people who are receiving this thoughtful gift from you. Placemats are a wonderful mini quilt. 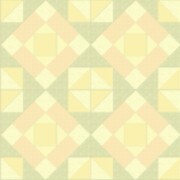 You can practice machine quilting, hand quilting, bindings and enveloping. Placemats can be 13″ by 19″ or 12″ x 18″ finished. Each side tells a story. What a wonderful way to give the Meals-On-Wheels Program clients a ray of sunshine. Because you care this program has been a blessing to many people who are house bound. They have been enjoyed by each person that has received one over the years. Along with the community quilts we have now taken up making pillow cases for Concord Hospital Pediatrics. In December 2018 delivered 114 pillow cases! We are planning on making deliveries 3 times a year. We will keep you posted with pictures, we are so proud of the men and women who serve this beautiful country by protecting us! And this is our way of letting them know we are thinking of them.